Sanjay Leela Bhansali's Alauddin Khilji, played by Ranveer Singh, has kohl-rimmed hungry eyes, a scarred face, a gym-toned body, wears furs when he is not bare-chested and rips meat off the bone with his teeth. 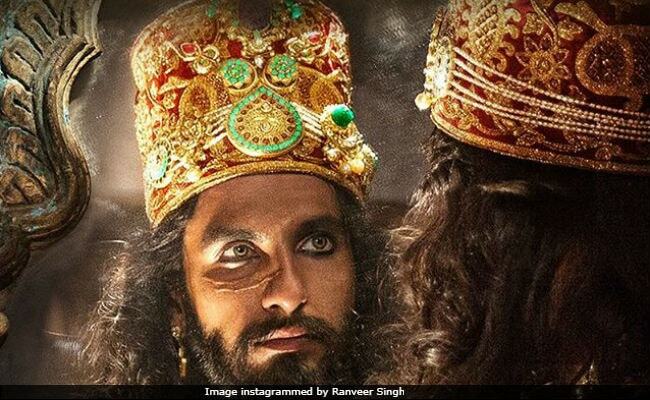 Alauddin Khilji has been depicted almost like a barbarian in the film, say historians. New Delhi: He gnaws the meat off the bone, bares his hairy chest, has long unruly locks and laughs like a hyena. History doesn't quite remember Alauddin Khilji like this, but that is the image Sanjay Leela Bhansali seeks to portray of the Khilji dynasty king in his film "Padmaavat". The king is depicted almost like a barbarian in the film, which was released today after months of strife - in court, on the streets and at the Censor Board. While members of some Rajput groups are still violently opposing the film's release, a section of historians states that the filmmaker misses the mark, not in portraying Padmavati, a role played by Deepika Padukone, but in painting the Sultan as a barbarian. Mr Bhansali's Khilji, played by Ranveer Singh, has kohl-rimmed hungry eyes, a scarred face, a gym-toned body, wears furs when he is not bare-chested and rips meat off the bone with his teeth. Historian Rana Safvi believes that Khilji was anything but savage. It was under his rule the Delhi Sultanate heavily drew from Persia, one of the oldest and most sophisticated civilisations of all time, she said. "The rulers followed the exact code of conduct and etiquette as in Persia. It would have been very formal - the eating, dining and sartorial choices," Ms Safvi told PTI. The film, according to Mr Bhansali, is based on the 16th century-epic poem "Padmavat" written by Sufi poet Malik Muhammad Jayasi two centuries after Khilji's death. "It cannot be ignored that the epic "Padmavat" was penned centuries after Khilji's attack. Jayasi wrote it in Awadhi, not any Rajasthani dialect. He belonged to a different region," pointed out Arunima Gopinath, associate professor of Women's Studies at Jawaharlal Nehru University. The poet Amir Khusro, who flourished during the Khilji rule, gave a detailed account of the king's conquests as well as his reign in the 13th century. The poet did not project him as a barbarian ruler either. 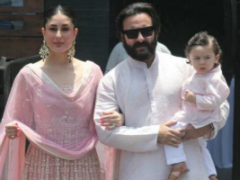 Ms Safvi added that the barbarism the film depicts in Khilji is to only show him as a villain and Shahid Kapoor's Ratan Singh as a sophisticated rival. "Khilji was aware he was cruel but he was not the kind to be running after women and then conquering kingdoms. He was only interested in expansions and conquests," she said. Alauddin was a "cruel imperialist" and a good military strategist who wanted to crush Mongol invaders, she held. "He was trying to strike terror into the hearts of others. He wasn't religious either. He perhaps may have been the only king who didn't go to read prayers at Friday congregations," she pointed out. Last year, three senior ministers of the Rajasthan government backed a proposal to show in history textbooks taught at the university level that Maharana Pratap won the Battle of Haldighati against Akbar. "History cannot be rewritten in any way, which is what they are doing," Chaturvedi said. 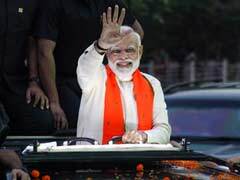 He recalled how historian Gopinath Sharma, known for his research on Mewar kings and Mughal emperors, was abused and manhandled at a seminar in Jodhpur for writing that the Battle of Haldighati was "indecisive", though Akbar had an "upper hand". Safvi is of the opinion that the Haldighati battle may have been inconclusive, but to make an individual as brave as Rana Pratap a victor through the backdoor did disservice to his memory. "I don't think any brave warrior wants to be handed out a consolation prize. It would be unethical and one would probably not feel honoured to take the prize they didn't deserve," she added. Attempts are also being made to drop the words "The Great", often suffixed to Akbar's name. The author of the Hindi novel "Akbar", Shazi Zaman, said the adjective could be used by anybody, as long as it could be rationalised. "I think that everyone is entitled to deem a person great, provided you can rationally back it with credible historical records. But greatness is not a rolling trophy that can be taken from one and given to another," he added.